At Robert Ellis Estate Agents we are committed to respecting and protecting your privacy. We may use your name, address and contact details for the purpose of carrying out our obligations arising from any contracts entered into by you and Robert Ellis Estate Agents, such as providing you with products and services you have requested, visiting and arranging viewings of your property or inspections following a survey or in the case of property management, arranging access for periodic inspections or maintenance work. Our legal basis for this use is that it is necessary for the performance of a contract to which you are party. We may use your name, email address, postal address or mobile telephone for SMS communication to provide you with information, you have requested from us, respond to enquiries or requests from you, communicate with you in relation to those enquiries or requests and arranging visits to your property by our staff or nominated individuals. Our legal basis for this use is our legitimate interests, namely [carrying out activities in the course of Robert Ellis Estate Agents’ business in response to customer enquiries or requests. Where you have entered into a contract with us or we have provided you with services, we may use your name, email address, postal address, phone number or mobile telephone for SMS to ask for your feedback about the services we have provided to you. 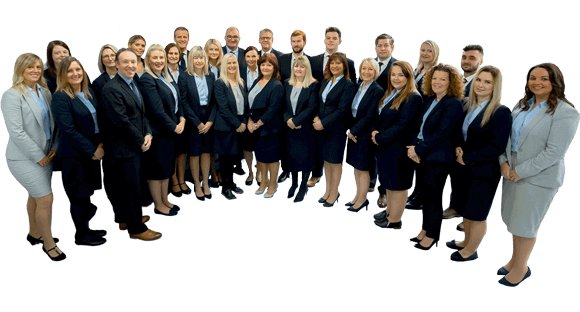 Our legal basis for this use is our legitimate interests, namely evaluating and where necessary improving the quality of our service provision with a view to promoting the success of our business and positive customer relationships. Where you are a party to an existing contract with us, or regularly enter into contracts with us for our services, we may use your name, email address, postal address, phone number or mobile telephone for SMS to notify you of changes to the terms and conditions of our services. Our legal basis for this use is our legitimate interests, namely [the administration and management of our business contracts and relationships. We may use your name, email address, postal address and mobile phone number for SMS to send you marketing communications, if you have chosen to receive these. These may include information about properties for rent or for sale, the current property market, promotions or offers. Our legal basis for this use is consent. We may use your identification documents to verify your identity where it is necessary under Anti Money Laundering Legislation. Our legal basis for this use is compliance with a legal obligation to which we are subject, currently the Money Laundering, Terrorist, Financing and Transfer of Funds Regulations 2017 our legitimate interests, namely ensuring the security of our systems, network and information and those of third parties. Administer our site and for troubleshooting, testing, research and statistical purposes. We use Google Analytics, a third-party website monitoring tool. Our legal basis for this is our legitimate interests, namely [monitoring the use of our software and IT systems, improving our website. Measure or understand the effectiveness of our marketing emails. Information provided by yourself and held on our secure systems provided by Vebra Alto (Property Software Group,) securely migrate to our ‘Brief Your Market’ secure marketing platform to enable targeted mail marketing campaigns. Our legal basis for this use is consent. We use Google AdWords to see which pages led to our users submitting contact forms to us, which allows us to create a more effective marketing campaign and make better use of our paid search budget. We may use Call Tracking to set dynamic phone numbers on our site. These help us identify how you found the website when you call us and allows us to identify the source that you used to find the website. It gives a better idea of our users’ requirements and lets us tailor our advertising methods in the future. We may analyse the personal information we collect directly from you and obtain using automated technical means to create a profile of your interests and preferences so that we can contact you with information relevant to you (if you have chosen to receive marketing communications from us). We may make use of additional information about you when it is available from external sources to help us do this effectively. These sources include publicly accessible sources and third-party suppliers. We may also use any of your personal information that we collect from you directly and additional information about you from external sources where necessary to detect and reduce fraud and credit risk. These sources include publicly accessible sources and Let Alliance. Our legal basis for this use of your personal information is our legitimate interests in preventing our business being subject to fraud or credit risk. Business partners, suppliers and sub-contractors working on our behalf for the purposes of completing tasks and providing services to you. A full list of third party suppliers is available on request. Credit agencies, Land Registry Office, Her Majesty’s Revenue and Customs (HMRC), Financial Conduct Authority (FCA) and other relevant regulatory bodies. Additionally we may share information about you, if required legally, to prevent harm or financial/reputational loss, for investigation or suspect or actual fraudulent or illegal activities. Perspective employers requesting references via your written consent. We may disclose your personal information to any member within our company and our sister company ‘The Mortgage Company’ (Nottingham) Limited insofar as is reasonably necessary for the purposes set out in this policy. We may disclose your personal information to our insurers and /or professional advisers insofar as reasonably necessary for the purposes of [obtaining and maintaining insurance coverage, managing risks, obtaining professional advice and managing legal disputes. To exercise any of these rights, email us at info@robertellis.co.uk or write to us at Robert Ellis Estate Agents, 2 Commercial Avenue, Beeston, Nottingham, NG9 2NJ In addition, you can exercise your right to object to direct marketing at any time by clicking an ‘unsubscribe’ link at the bottom of one of our emails. It is possible to switch off cookies by setting your browser preferences. For more information on the Cookies we use, see our Cookies policy as detailed above. In this section we provide information about the circumstances in which your personal information might be transferred to countries outside the EEA. If you use our services while you are outside the EEA, your information may be transferred outside the EEA in order to provide you with those services. We keep this Policy under regular review. This Policy was last updated on 18th May 2018. You can obtain further information about data protection laws by visiting the Information Commissioner’s Office website at www.ico.org.uk.